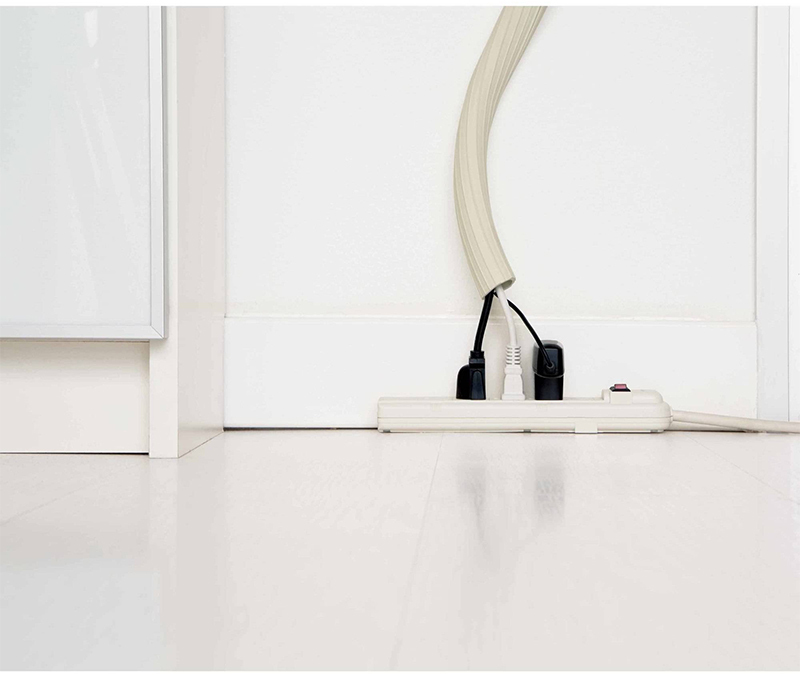 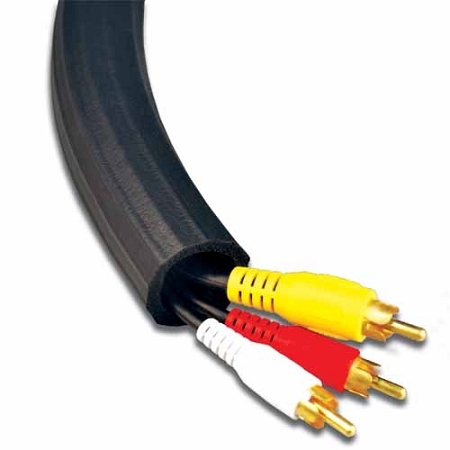 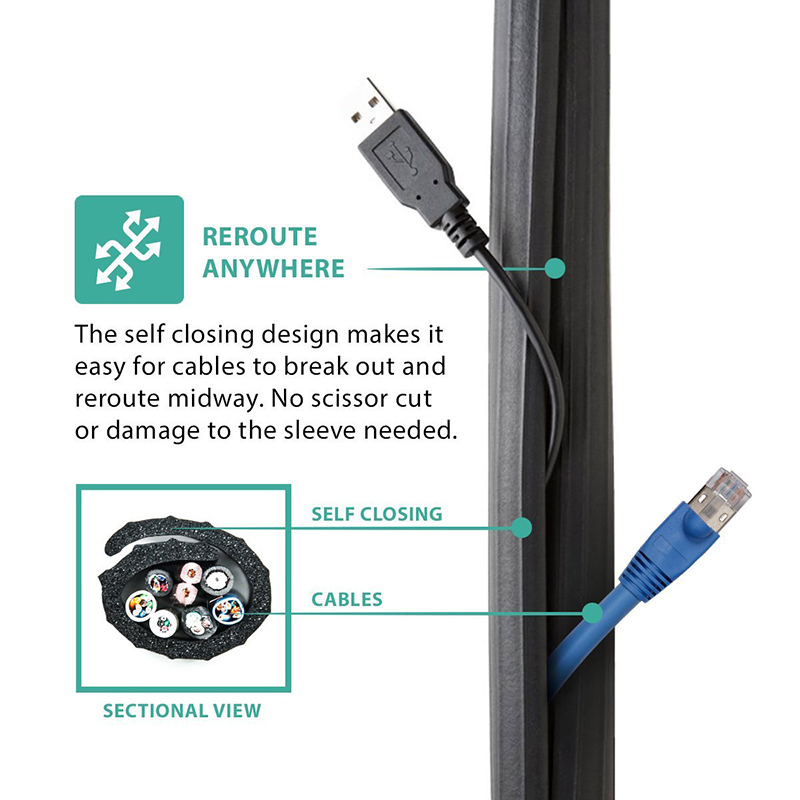 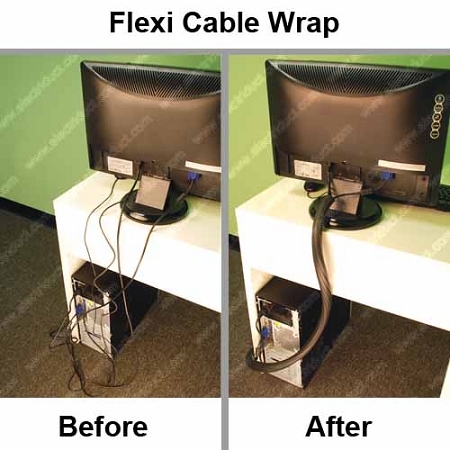 A safe and neat solution for cords running behind computers, entertainment centers and applications where loose cable bundles ranging from 0.5" to 0.8" are found. 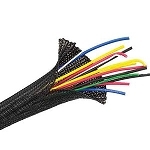 Using soft flexible rubber, this cable wrap can be used by anyone without danger unlike the sharp edges found on traditional plastic wire looms. 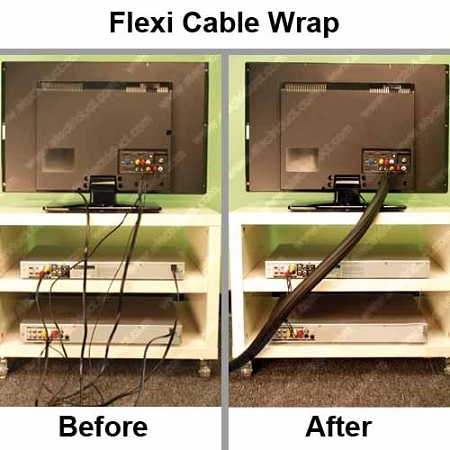 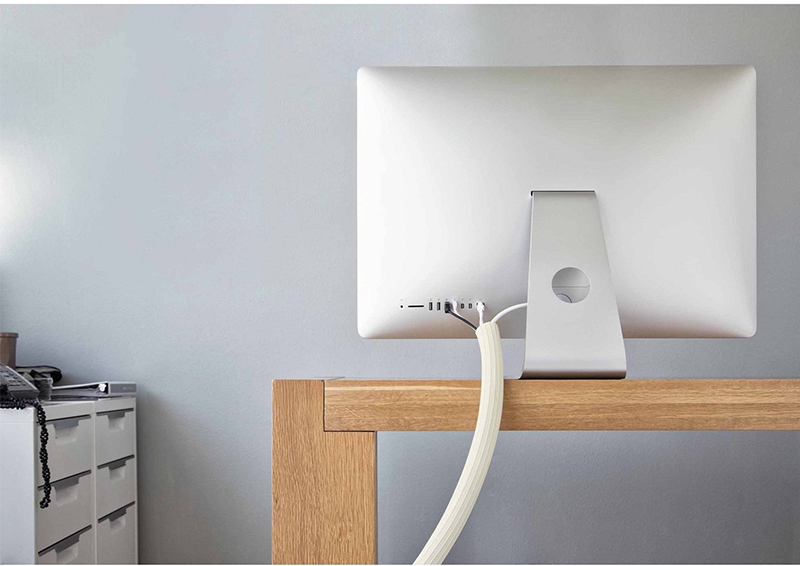 Easily cut to specific lengths and self wrapping, the Flexi Cable Wrap will not only hold your cable bundles but allows breakouts at any point to connect all your components. 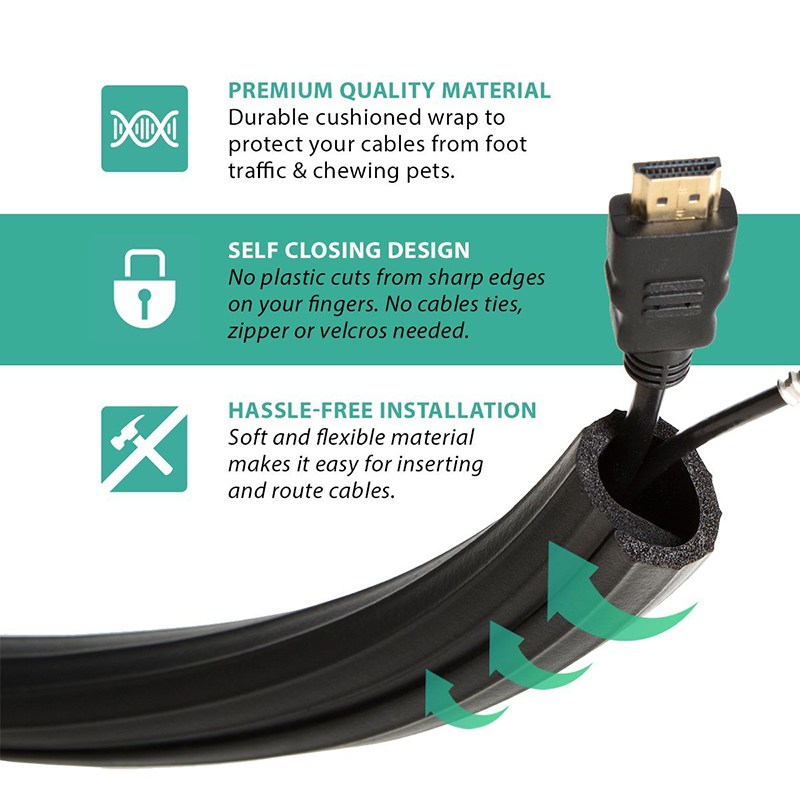 Overlapping wrap which makes it have an expandable ranging from 0.5 - 0.8". 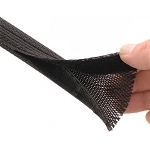 Soft and flexible material for safe, easy use. 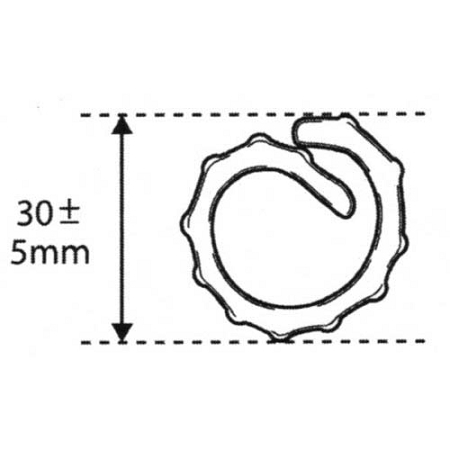 Can be cut with scissors.